Busy work day, but still found time to take a lap around the rookery and enjoy the sunny afternoon! After doing a lot of cooking and eating at home, we decided to give ourselves a break and headed for some stromboli at the Muddy Rudder. 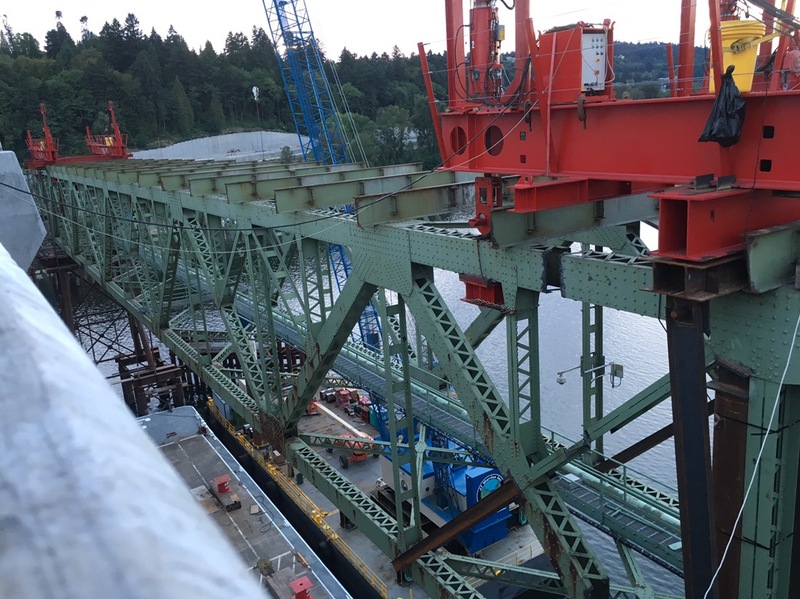 Swung by the Sellwood Bridge to see how the deconstruction is coming along and it seems like there’s just one span of the old bridge left to remove – and it’s positioned over the barge to be lowered. Still a lot of work to do! Previous Previous post: Ain’t nothin’ but a hound dog..